Pack Princess is the second book in the Wolf Rampant Trilogy. Enjoy the sneak peak below! 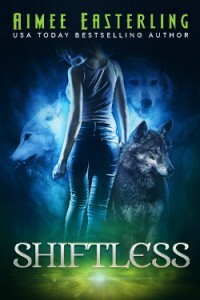 And just in case you’ve missed it, get caught up by starting with the preview of Shiftless. When I set off for my afternoon run, the whole forest smelled like my mate. Pine needles and leaf mold and that tinge of something extra that said “powerful male werewolf.” Which is why I was smiling in a tongue-lolling canine fashion…right up until the moment when a huge wolf came barreling out from behind a bush and sent me spinning head over heels to land with a thud against the trunk of a tulip poplar. Werewolves are pretty rough-and-ready, so it wasn’t the crack on my skull that had me shaking my head in a daze as I scrambled back to my feet. Nope, it was just plain surprise. From the moment when I’d first stepped into my father’s metaphorical shoes, I expected to have to face down power-hungry uncles and cousins in order to maintain my place as alpha of our current pack. But as days stretched into months without a challenge in sight, I’d slowly relaxed my guard. As a result, I now realized that it had been weeks since I’d bothered to peer at the inner wolf of each shifter around me, attempting to seek out insurrections before they had time to spark into flame. And I certainly wasn’t expecting to be attacked here, deep in the heart of pack territory, where there were unlikely to be werewolves from other clans trying to slip past our defenses. So what the heck was going on? 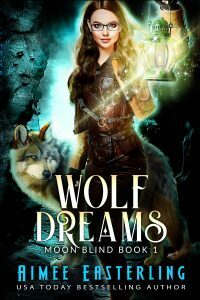 Even as these bewildered thoughts tumbled through my mind, I was spinning on my heel, ruff raised to make me appear larger as I curled my upper lip back into a lupine snarl. But then I paused, even more confused, as I recognized my father’s grizzled muzzle. Chief Wilder had been the bane of my existence growing up, and he was also the primary reason I’d fled Haven in the first place to eke out a lonely existence in the human world. Yet, since then, my father had manipulated me back into our shared pack, and he’d recently seemed quite willing to let his sole surviving daughter take over leadership of clan Wilder. So what was with this out-of-the-blue attack? Could Crazy Wilder’s nickname have become a self-fulfilling prophecy? Perhaps my father wasn’t simply stuck in wolf form. Maybe now, he was truly cracked. In the past, I’d always backed down when faced with the sight of my father’s fangs, but as pack leader, I currently had shifters to think about other than myself. So even though it seemed a bit unfair to fight a werewolf who was probably at least partially out of his mind, I took a slow step toward the Chief and allowed a deep vibration to turn into a growl at the base of my chest. I hadn’t realized my own power when I was a child, but now I understood that a simple stare from an alpha like me should be enough to squash any opposition from a weaker wolf. Why fight when intimidation would suffice? But, unlike the other werewolves whom I’d spent time with recently, my father didn’t back down in the face of my challenge. In fact, Chief Wilder didn’t even bother to respond to my posturing. Instead, the huge wolf sprang again, his massive form suddenly looking nearly twice the size of my own, and I knew that I’d be crushed beneath the Chief’s tremendous paws if I stayed put. So much for plan A. Luckily, what I lacked in size (and, apparently, in ability to intimidate), I more than made up for in agility. Darting aside at the last moment, I snapped at the folds of flesh beneath my father’s neck as he soared past, hoping to latch onto this piece of prime real estate. A wolf’s under-belly was the ultimate prize in a shifter fight, but the neck wasn’t far behind, and I knew that if I could just arrange my teeth on either side of my opponent’s jugular, I’d be able to end this struggle before it truly began. But unfortunately for me, the Chief was a wily old wolf, and no simple feint could elude his guard. Instead, he turned in midair, teeth snapping menacingly as his shoulder struck mine with a crack, and we both went down together in a pile of fur and claws. Rolling across the leaves as part of an eight-legged jumble, I managed at last to latch onto the other wolf’s shoulder with trap-strong lupine jaws. But I knew from experience that the Chief could barely feel the bite through his tough hide, and he certainly showed no signs of being vanquished. So I scrabbled with my hind legs, pushing against my father’s belly in an attempt to reach a more delicate zone—the neck or belly would be perfect, but even the skin beneath my father’s forelegs would suffice in a pinch. And as I twisted, I felt the Chief’s body shaking beneath mine, making me think that the deposed alpha might finally be struggling to hold his ground against a younger wolf. However, as I continued to bite and claw to no real effect, I soon realized that I was wrong—my father was simply laughing. In fact, the Chief was so confident of his own success that he was willing to give his daughter the opportunity to seek out a winning hold, waiting until I was forced to admit my own failure before ending the fight. Then, just as I finally understood how severely I had been outclassed, the older wolf shook himself, pulling loose from my jaws with ease, and his own fangs sank deep into the tender valley of soft flesh beneath my chin. I yelped at the jolt of pain that rushed through my body, but that didn’t prevent me from struggling against my father’s grasp. Instead of freedom, though, I felt my hide tearing as a warm trickle of blood started to soak into my fur. Stilling at last, I knew that I was beaten. If I’d needed proof that my father had allowed Wolfie and me to pull the rug out from under him six weeks prior rather than being truly vanquished, this farce of a battle was it. How could I have thought that I—a twenty-five-year-old female werewolf—was a match for the legendary Chief Wilder? Even half-crazed and unable to ally with his inner wolf, my father could have beaten me with one arm tied behind his back. And as the Chief shifted seamlessly into human form, tossing me to the side and exposing my unprotected underbelly with one swipe of a muscular arm, I realized that my assumption that the wolf had completely taken over my father’s mind was equally unfounded. Chief Wilder was as powerful as he’d ever been…and I was entirely at his mercy. So, feeling like the cowed teenager I’d been a decade before, I instantly returned to my childhood demeanor. Pulling myself up to stand on four trembling feet, I cowered beneath my father’s menacing form. And, with tail tucked between my legs, I whimpered my defeat. Click here to continue with Scene 2.